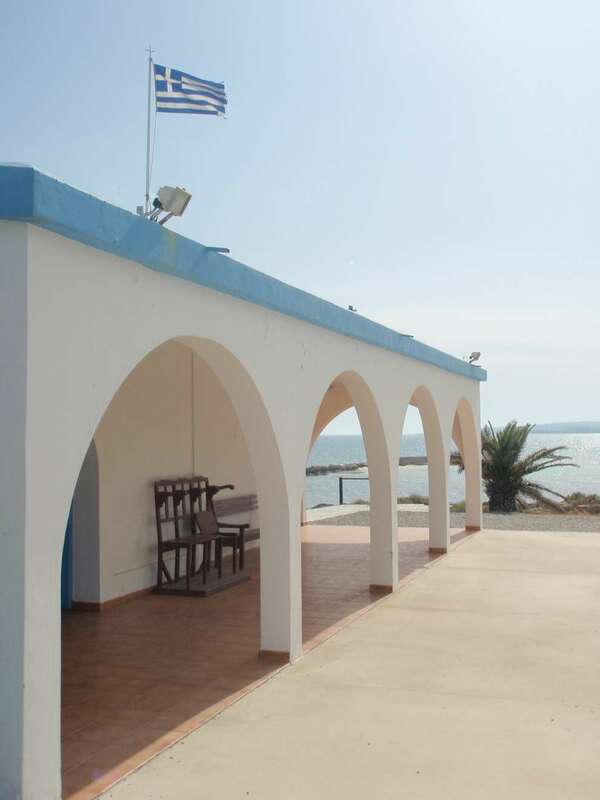 The small chapel of Agia Thekla is built between the municipalities of Agia Napa and Sotiras. Religiously it belongs to Sotira. It is the "apple of the contention" between the two Municipalities who state that the chapel belongs to their periphery and this is not irrelevant to the archaeological wealth that is believed to exist on the shores of St. Thekla. 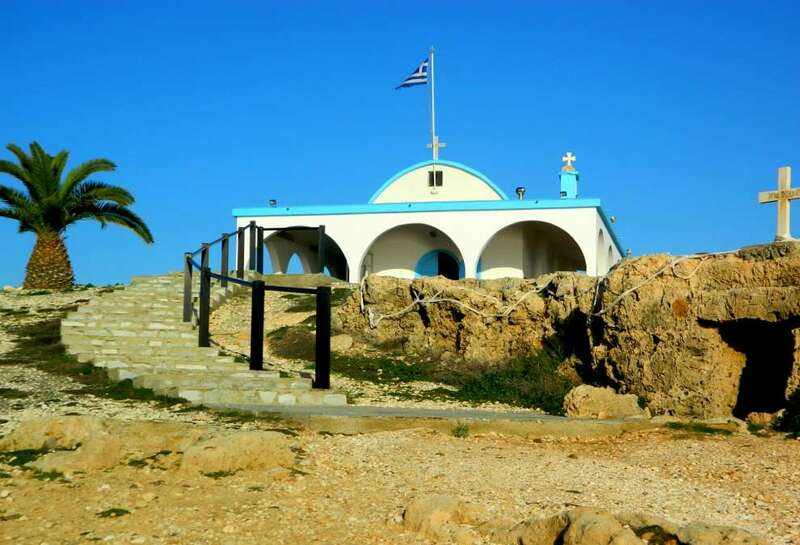 The church, with blue and white colors and with the backdrop of the endless blue and clear sea, is built next to the ruins of the old original church dating back to the 4th century. The catacomb of Agia Theklis is a cave or tomb carved in stone. It is believed that in 1571 the Turkish general Peleas Pasas landed there with an army and marched against Famagusta where he helped General Mustafa in the siege of the city. It is noteworthy that many couples, locals and tourists choose to get married at the church of Agia Thekla. Very close to the church there are restaurants, special entertainment venues, the famous beach of Agia Thekla and a long road with a wonderful oasis for those who want hiking. For the map of the area, click HERE.